Ever wanted to do a voyage on a cargo ship? 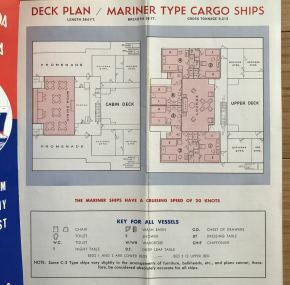 How about on a C-2 or Mariner in 1958? A fascinating brochure with loads of info I didn’t know. 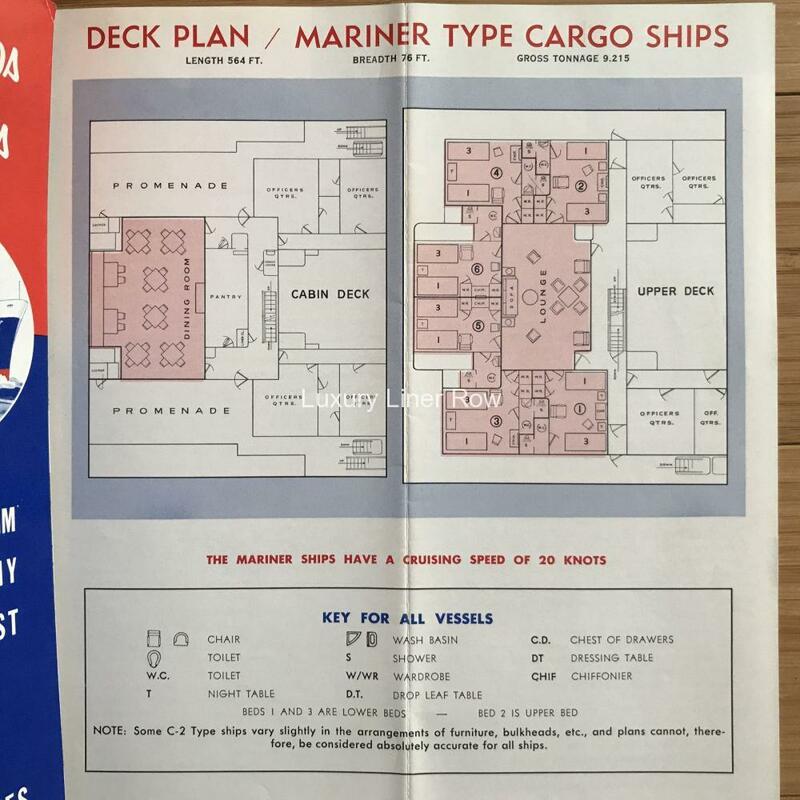 Deck plans are included for all the different class of cargo ships. Runs 12 pages with 6 interior photos. 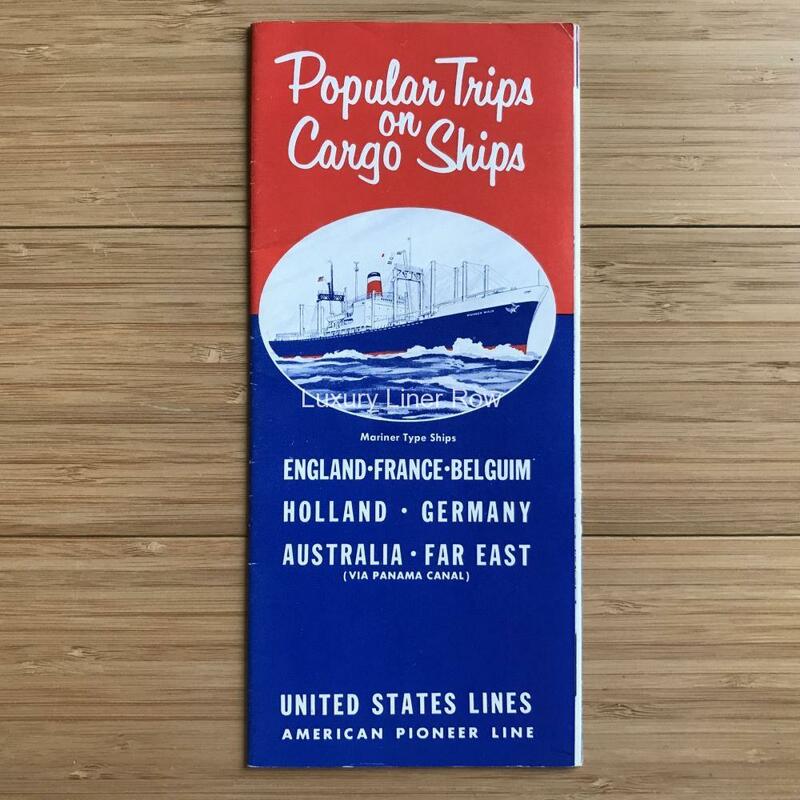 Lots of interesting information about traveling on a cargo ship. I can tell you that reading this brochure makes me realize that, while sparse, I would have really liked to have given them a try.